Do Winds Always Blow From High Pressure to Low Pressure? How Does Pressure Affect Wind? Air pressure drives the creation of wind worldwide. Although it is not the only factor, differences in air pressure throughout the Earth's atmosphere lead directly to wind and influence the speed and direction of that wind. 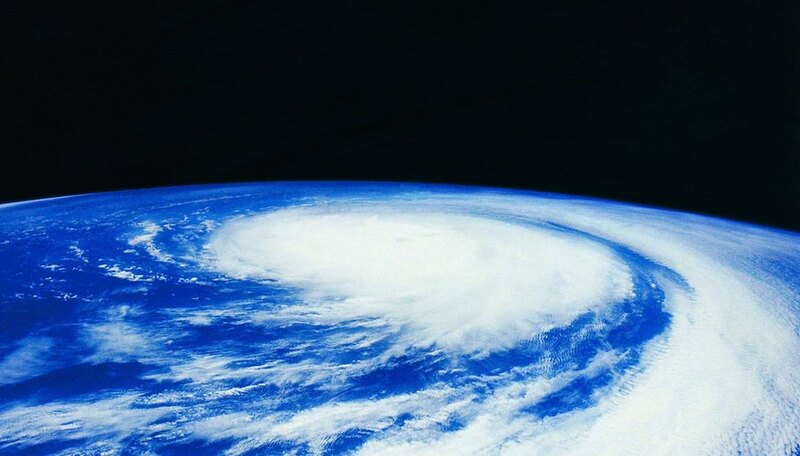 Pressure differences also affect larger weather systems like storms, even hurricanes. Earth's atmosphere is a mixture of several different gases, mostly nitrogen and oxygen, with trace amounts of other gases. These are mixed together uniformly, so that the atmosphere has the consistency of a homogeneous fluid. Throughout the atmosphere, differences in atmospheric pressure arise as a result of temperature differences and other complex factors. The difference in pressure between two areas is called the pressure gradient, and it is this gradient that plays a role in wind. When part of the atmosphere has a lower pressure than the surrounding area, a pressure gradient exists. Hot air rises and cool air sinks, so if one patch of the atmosphere becomes hotter than its surroundings, it will rise, leaving behind an area of low pressure below it. Cooler air will rush into the low pressure area because fluids like the atmosphere move along pressure gradients until the difference in pressure has been equalized. When air moves into a low-pressure area to correct the imbalance of a pressure gradient, people feel the moving air as wind. Greater pressure gradients produce stronger winds. Wind on Earth is also affected by the force of the Earth's rotation, known as the Coriolis force or Coriolis effect, which tends to deflect winds to the right in the Northern Hemisphere. The Coriolis force and pressure gradient can produce winds of various speeds and directions. The wind produced by pressure gradients is not limited to simple breezes. Weather systems like storms can also arise from differences in pressure. For example, tropical cyclones like hurricanes typically begin as "tropical depressions," or low-pressure zones in the tropics. The combination of the sharp pressure drops at the center of powerful storms and the rotational Coriolis forces create the spiraling pattern of tropical cyclones. Andrew Gellert is a graduate student who has written science, business, finance and economics articles for four years. He was also the editor of his own section of his college's newspaper, "The Cowl," and has published in his undergraduate economics department's newsletter. How Does Air Movement Affect Weather? Gellert, Andrew. "How Does Pressure Affect Wind?" Sciencing, https://sciencing.com/pressure-affect-wind-23262.html. 24 April 2017. What Causes Shifting of Wind & Pressure Belts? What Happens When the Barometric Pressure Falls?